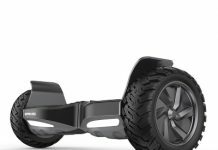 Just a few years ago, the phrase “hoverboard” only referred to the floating skateboards featured in movies like “Back to The Future.” But today, we are all familiar with the futuristic, two-wheeled transportation devices that go by the same name. Which hoverboards are on the market? Which kind should I buy for myself? If you’re confused about the options on the market, we’re here to help make the choice simple. We’ve searched high and low to find the best hoverboards, and today we’re going to tell you everything you need to know about picking one out for yourself. But first, let’s take a look at the best hoverboards on the market. With so many different hoverboards on the market, it’s hard to know which ones to buy. Many people have seen the news articles about some boards bursting into flames! Fortunately, this incident was restricted only to counterfeit boards being manufactured in underground warehouses in China. Today, every hoverboard sold in the United States goes through an extensive certification process to ensure that it’s safe. Beware of questionable websites selling boards at a price that seem too good to be true. Take a look at our reviews and see the five best hoverboards you can get from safe, well known retailers. Looking for a hoverboard that offers incredible value? Look no further than the Powerboard! The Powerboard was developed by an American company. While its competitors were building boards that looked flashy but had poor quality components, the Powerboard kept it simple. You might not notice from the outside, but it boasts an internal pair of high quality, reliable motors that are fed from a superior Samsung lithium ion battery. This focus on quality makes the Powerboard one of the best hoverboards for beginners. With a top speed of 10 km/h, your battery can last for up to six hours. Worried about running out of juice during the day? It’s high speed charger can charge up the Powerboard in as little as one hour! The board is known as being easy to use. With its soft steering and solid build construction, new hoverboard users can learn how to ride it after just a few of tries. If you’re looking for value, there is nothing cheaper on the market. Thanks to the rigorous UL certification, you can rest easy knowing that, while inexpensive, the Powerboard is fun, safe and reliable. 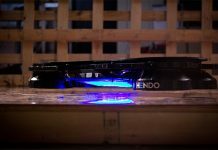 Want the absolute best hoverboard on the market? 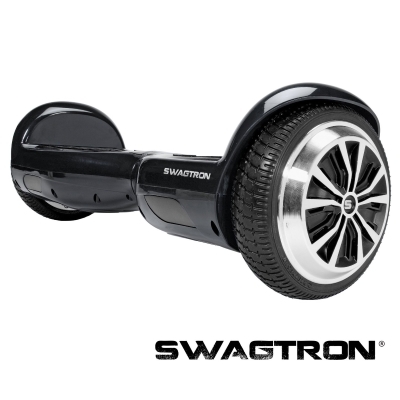 Look no further than the Swagtron T3. To those of you who are familiar with hoverboards, you’ll recognize the name “Swagtron” almost immediately. They previously went under the name “Swagway” (Until they got the crap sued out of them by Segway) but have consistently produced some of the best hoverboards on the market. Before the T3 came out, getting into hoverboards was a bit of a challenge. You’d have to start out with a beginner model, something slow and easy to learn. Then, you’d have to upgrade and replace your old board with something that had a little more pep. 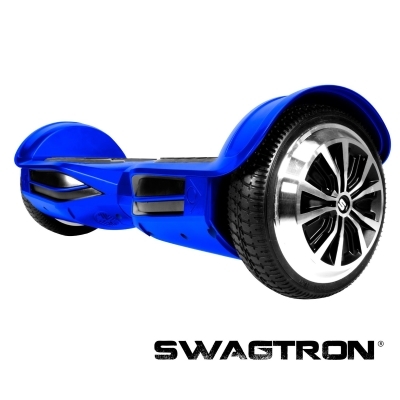 The Swagtron T3, however, is the only board you’ll need. There are three different speed settings. Beginner mode, normal mode, and expert mode. When you’re just starting out, flip on beginner mode and you’ll roll around at a casual pace with forgiving controls. Once you’ve learned the ropes, try out expert mode and rip around at blistering speeds with lightening quick controls. Just how powerful is the Swagtron T3? You’ll hit speeds of up to 12 km/h an hour. On paper, this might seem slow. But consider that somebody running at a fast pace will only reach around 9 km/h. Trust us, this thing is fast. Speed isn’t the only thing the Swagtron T3 offers. It also looks super cool. If the edgy design doesn’t catch your attention, the loud Bluetooth speaker certainly will. When you ride on the Swagtron, you’re riding in style. If the Powerboard is a little too basic for you, but the T3 is a little too expensive, the T1 offers the perfect balance between the two. We understand, not everyone is ready for the big leagues yet. If you’re looking to save a couple bucks, the Swagtron T1 offers most of the benefits of the T3 at a significantly reduced price. Although the design is a little more basic, inside you still have the powerful 300W motors that let this hoverboard fly. You’ll see the same top speeds as the T3 (12 km/h) although performance on hills will be a little reduced. You still get white LED headlights, making sure you can see where you are going even as the sun starts to go down. Beginner or advanced, this board has two different speed settings to ease you into its powerful platform. For just $50 more than the Powerboard, you get a lot more performance. We’ve seen a lot of different hoverboards, but nothing that comes close to the value of the Swagtron T1. If you can’t beat em’, Join em’, right? After Segway tried and failed to get hoverboards banned on the grounds of copyright infringement, they decided to modify their own platform a little bit to compete. 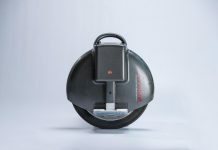 So, some people might say that the Segway MiniPRO isn’t really a hoverboard. 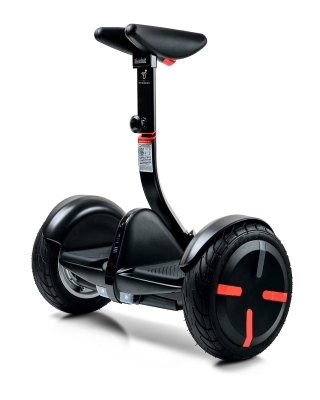 But Segway released this product to directly compete with the platform. If you’re considering a hoverboard, you might want to give this a second look for a couple of reasons. First, the tires are huge. Almost twice the size as the other hoverboards. This means it will work almost anywhere. On grass, off road, over curbs… wherever you want to go! The speed and range are also significantly improved, giving you a 16-kilometer range and 20 km/h speed limit. 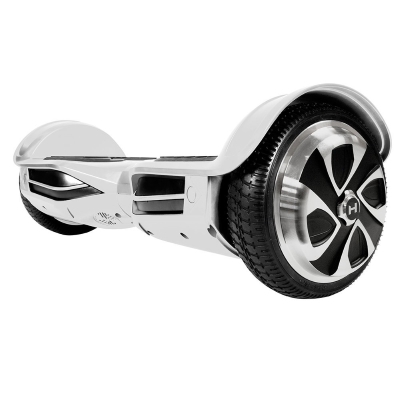 Because it’s designed for off-road use, the steering controls are a little bit different from other hoverboards. Instead of twisting your feet, you instead use your knees to move the little arm around. In a way, it’s a lot like leaning in the direction you want to travel. We think that calling the Segway MiniPRO the Cadillac of hoverboards is a fair title. Those who use it say it’s a much more refined piece of equipment, but it’s definitely going to be favored by an older generation. If you’re looking for a new way to commute to you job, then the MiniPRO is probably the best choice on this list. But if you’re just looking for a fun way to rip around the school yard, you’ll want to look at one of our other suggestions. So, you want to use your hoverboard all the time without having to take regular charging breaks? The Hoverzon XLS is for you. At first glance, the Hoverzon XLS looks a lot like the Swagtron T3. And it’s true, the two boards are based off the same platform. But there were a few important changes made with the XLS. 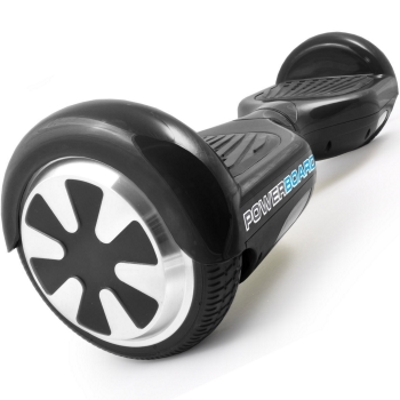 This board has an advanced battery management system that is designed for regular use. You might recall that the T3 had a range of about 12 miles. This means that if you’re fully charged, you’ll be able to go in a straight line at full speed for 12 miles before the board shuts off. Most people don’t ride a hoverboard this way. If you’re just looking to coast around, you want something that it optimized for your riding style. And that’s exactly what the Hoverzon XLS does. Users report upwards of 5 hours riding time with the XLS, but you still get the high speed performance of the T3 platform. Don’t forget about the style! Shipped with the same cool look as the T3, you also get the colored LED lighting AND the sweet Bluetooth speaker. If you’re looking to make a statement, definitely scope out the Hoverzon XLS. Once you score yourself a hoverboard, you’ll never want it to leave your side. But what happens when you arrive at your destination? Hoverboards are a little big and awkward to carry around. This backpack will make sure that your favorite method of transport is on hand at all times. Unless you picked up the Hoverzon XLS or the Swagtron T3, your board probably looks a little plain. 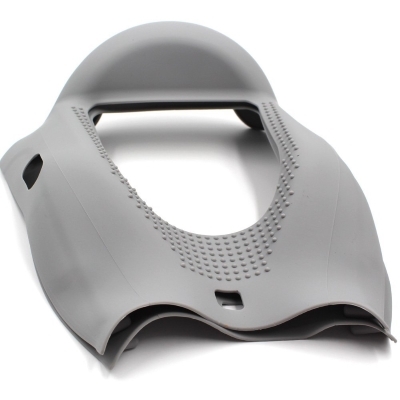 This silicon cover will help you stand out from the crowd, while also protecting your investment! With 7 different styles to choose from, you can make your board stand out as your own. Still not sure which one is right for you? Not even convinced that you’d enjoy a hoverboard? Read on and we’ll show you why hoverboards are the hottest new method of transportation. The simplest reason why hoverboards are so popular? They’re fun! Riding a hoverboard feels natural. After the first hour you barely even notice it. Turning just seems to happen automatically, and the entire experience feels as if you’re simply coasting from place to place. How Do I Ride a Hoverboard? Riding a hoverboard is easier than you’d think! If you have twenty minutes to kill, you’ll be able to learn everything you need to ride with confidence and comfort. First, there are two important steps. Make sure that you hoverboard is charged up, because once you get on you won’t want to get off. Next, make sure you are wearing a helmet and practicing in a wide open space. Most people pick it up pretty quick, but if you have an accident you want to be protected. Now, place the hoverboard in front of you with the lights facing forward. The lights are there to illuminate the ground in front of you, so you can see any obstacles in your way. Now, gently place one of your feet on the board, as close to the wheel as possible. The further out your legs are, the more control you have over the board. Keep your foot level, if you lean forward or backward the hoverboard will think you are trying to turn. When you lift your other leg up, think of it as climbing a flight of stairs. Many people have the immediate reaction of tensing up. You want to avoid this, because if you lean forward or backward the hoverboard will start moving. When you climb stairs, your body naturally adjusts your center of gravity. This is why you want to step as naturally as possible, no need to over think it. If this goes well, you should be standing on the board without moving. To move forwards or backwards, simply lean in the direction you want to go. This is not a huge motion; it feels more like gently shifting your weight. Try leaning forwards. Did you start moving? Great! Now, try leaning back a little and see if you can reverse. Practice this a little bit, gently transitioning from forwards motion to backwards motion. Once you’ve got the hang of that, it’s time to learn how to turn. Turning is quite simple with a hoverboard. Point your left toe down to turn to the right. Point your right toe down to turn to the left. On paper, this seems a little backwards. But remember, when you turn right it’s your left foot that accelerates a little so it can swing wide. You’ll pick this up really quickly, so practice doing some S turns back and forth. When you’re ready, try doing them backwards. You’ll be surprised at how easy riding a hoverboard is! Grab one today so you can finally see what all the hype is about. The most important thing to consider when you’re picking out a hoverboard for yourself, is to find one that is designed for your skill level. Trying to choose an advanced hoverboard will make it hard to learn. One of the most popular beginner boards on the market is the Powerboard. It’s inexpensive, easy to ride, and still buckets of fun. If you want to buy something that will last you a long time, there are also a couple of boards that have different speed settings on them. Both the Swagtron T1 and T3 have switches that you can select between beginner mode and advanced mode. This way, you can have a more casual experience while you’re learning the ropes. But when you’re ready to bump up the speed to something a little more thrilling, just flick the switch and you’re ready to go. 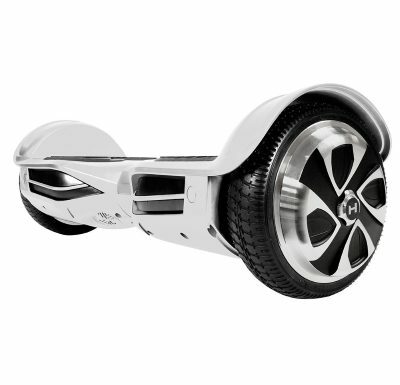 Next, you’ll probably want to pick up a hoverboard that looks cool. This might not be important to everyone, but if style is one of your priorities definitely check out the Hoverzon XLS or the Swagtron T3. Another important thing to look for is a hoverboard that’s safe. You’ve probably heard about the hoverboards that were catching on fire, and the best way to avoid this is to purchase a board that is UL certified. Why Do I Need to Get a Certified Hoverboard? You may have noticed that we mentioned the importance of UL certification a couple times so far. To understand why this is important, you’ll first need to know a bit about the history of the hoverboard. Last year, hoverboards were experiencing explosive popularity. This lead to a couple of unscrupulous Chinese manufacturers making knockoff versions of the boards. They looked the same as name brand models, they had some of the same components, but there were a few important differences. Mainly, the power circuits were different. Hoverboards are designed to take a bit of a beating. That’s why they generally use high quality batteries and advanced current control circuits. These components are expensive for manufacturers to buy. When creating the counterfeits, companies generally used cheaper components to increase their profit margin. Unfortunately, the result is that these counterfeit hoverboards are dangerous. Now, to buy a hoverboard in the United States, it has to be UL certified. Before a model hits the market they are thoroughly tested. They are dropped, crushed, submerged in water, and much more. Engineers look over the circuits and see how well they are made and determine if anything could go wrong with them. Unless they pass this test, they are illegal. This means that only a few boards, including the ones that we reviewed here, are legal to sell and own. If you purchase an un-approved board from an overseas manufacturer, it will be seized at the border. You’ll be out your money, and your board. 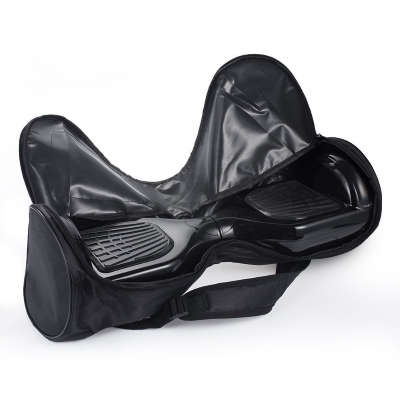 Make sure that you purchase your hoverboard for a reputable US retailer. Ideally, try to stick to the models we’ve recommend here. How Do I Know if My Hoverboard is Fake? Not sure if you got the real deal? No need to worry! There are a couple easy ways to tell if you have a real hoverboard or a counterfeit. The first thing to think about it where you purchased it from. If you bought from the official manufacturers website or Amazon, you have a real board. Next, consider the price. You might see hoverboards listed for sale on eBay for anywhere from $150 to $250. These prices are way too low. You can’t even get the parts for the boards at this price. If the hoverboard is that cheap, you can guarantee that it’s a counterfeit. The last thing to check is whether your board has the UL logo on it. The UL certification logo should be on both the board and the charger. If it’s there, then you have a genuine board. Are Hoverboards Safe for Children? Many parents are worried about their children riding hoverboards as they are seen as dangerous. Really, this is simply because hoverboards are new and people do not really understand them yet. But the truth is, hoverboards are just as safe as any mode of transport. When compared to some, for example skateboarding, they’re actually even safer! As long as your child is at least 9 years old, there is no reason they cannot use a hoverboard safely. The most important thing to keep in mind is that your children still need to be protected! Helmets are mandatory. Just like any wheeled toy, accidents can happen. And proper protective equipment will save lives. The next thing to keep in mind is that the child needs to take time to learn how to ride the hoverboard safely. Remember when your child learned how to ride a bike? The two of you probably had tons of fun out in the sunshine, while you slowly helped him learn the ropes. With young children, you should do the same! Read our guide above and help your child work through the steps. It will be a fun bonding experience for the two of you, and the hoverboard will give your child many years of entertainment!